Thank you for joining me as we count down to the next MFT release. We are five days away from the big day! All the new Stamps, Die-namics, and Stencils will be available on Tuesday, February 3 at 10:00pm EST. Be sure to check out the MFT Blog to see all the new items being revealed today. Don't forget to leave a comment on the MFT Blog. Countdown posts, YOU could win one of the five $75.00 gift vouchers. 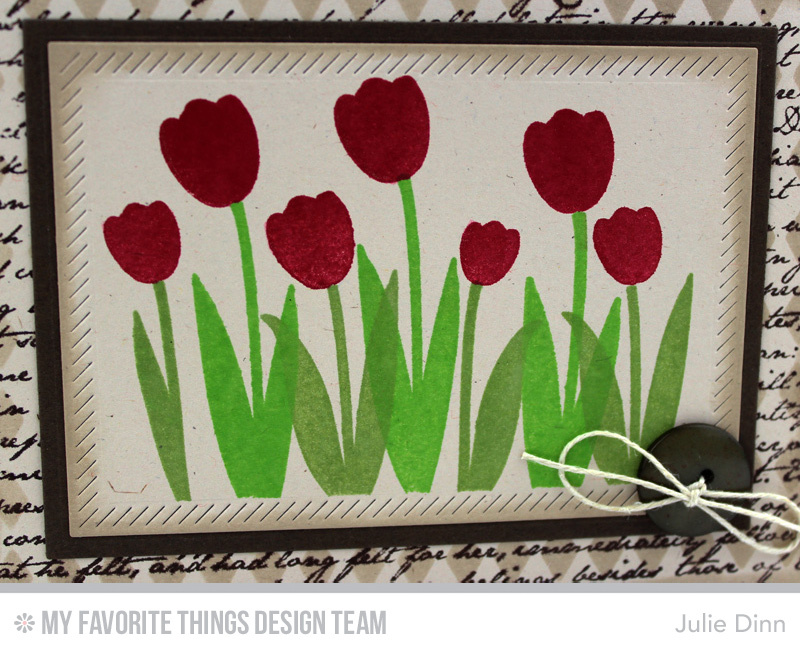 I have a couple of cards to share with you today featuring the new Spring Tulips stamp set. This first one is fairly clean and simple. I stamped the image on piece of X-Press It card stock using Black Licorice Hybrid Ink. 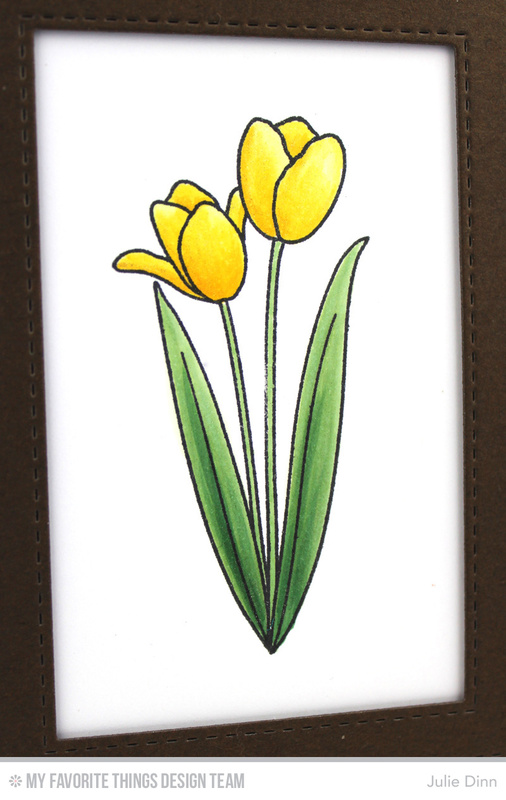 The tulips were coloured with Copics and finished off with a touch of shimmer. The image was framed with a Stitched Rectangle Frame. Behind the stitched frame, I added a Horizontal Stitched Strip that was stamped with the Houndstooth Background and the new Daffodil Premium Dye Ink. 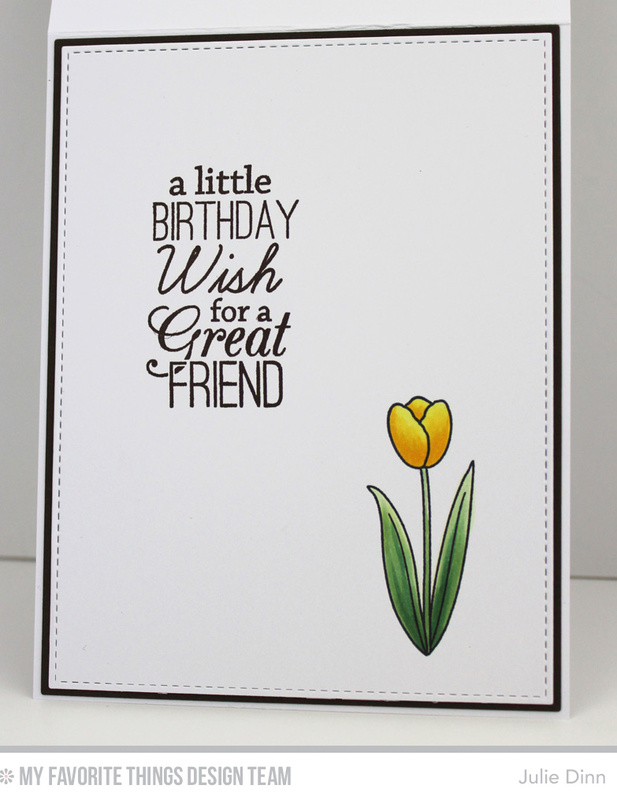 On the inside of the card, I stamped a sentiment from the Birthday Greetings stamp set and another sweet tulip. For my second card I went for a completely different look. I inked up the background with some Natural Premium Dye Ink and the Harlequin Stencil. I stamped over the harlequin pattern with the Romantic Script Background. 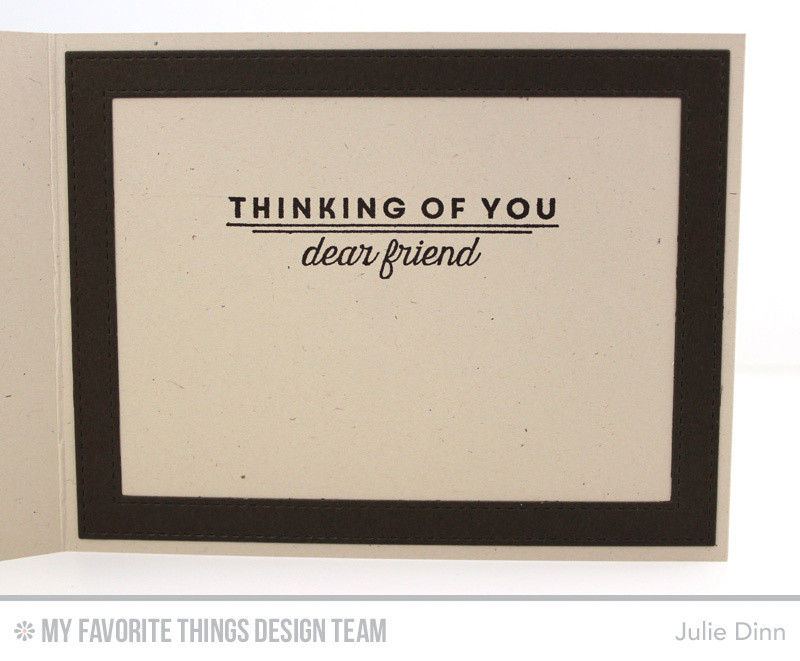 I stamped the tulips in Cherry Crisp Premium Dye Ink on Natural card stock. The stems were stamped in Green Room and Gumdrop Green Premium Dye Ink. Did you notice that gorgeous stitching around the image panel? That's our new Inside & Out Diagonal Stitched Rectangles. Aren't they fabulous? I kept the inside nice and simple with just a single sentiment. I love both cards, inside and out. 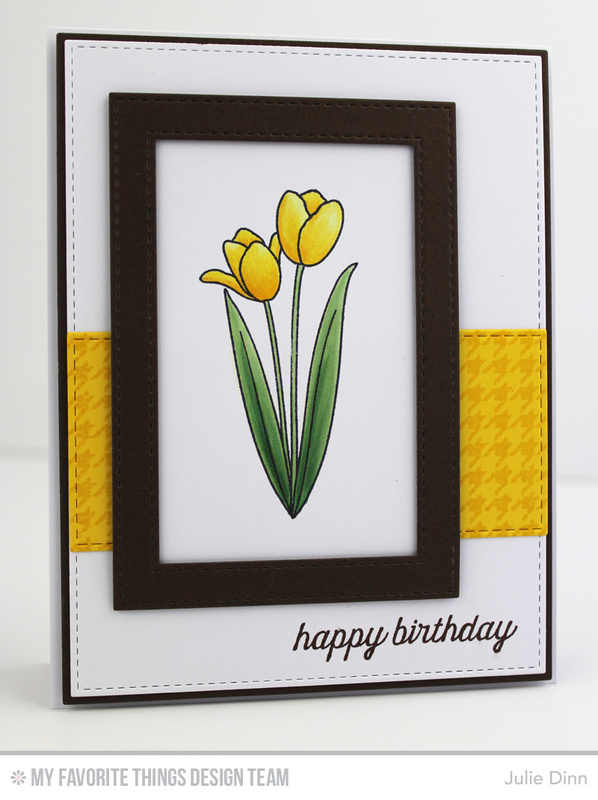 Love tulips and love your cards! These are both beautiful! Love the yellow on the first! These are GORGEOUS Jules! LOVE how you framed them! AWESOME card!!! Love the framed tulip. Great colors, too. Great designs. Love how you framed the focal images. Very pretty!!! Love how you framed them...stunning! I like tulips even more after seeing your great cards! The yellow is so bright it made me think of a daffodil. I love it!